A freaking weird thing happened two weeks ago. Without warning, my Facebook feed filled from top to bottom with declarations of laughter, happiness and love. It was so immediate, so unprecedented and so widespread amongst all my local Melburnian friends, that I wondered if there something in the water. Then I realised what was going on. We were having an unseasonal burst of sunshine and warmth. There was a north wind blowing and the day maxed out at a glorious 23 degrees Celsius. 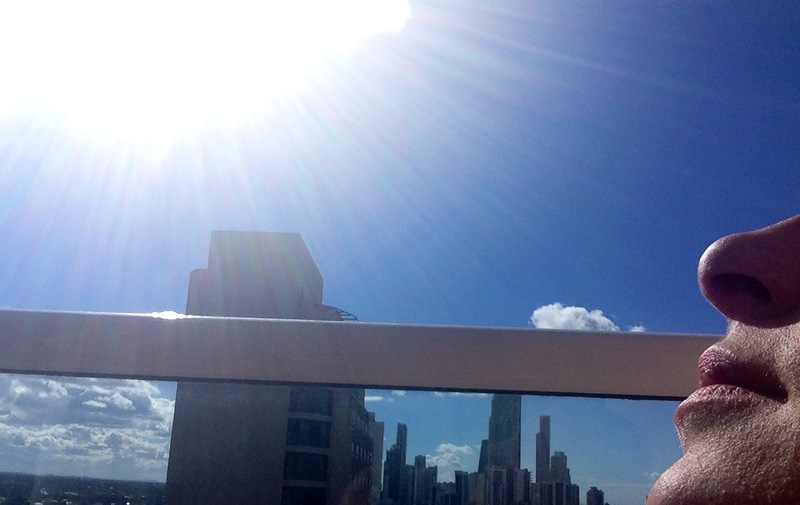 For mid-Winter in Melbourne, this was more than a big deal. More than just a hat tip to all the peer-reviewed scientific literature confirming man-made climate change. It was a lifeline. Seasonal affective disorder is real. That feeling when the days turn cold, of wanting to head into hibernation… preferably in a kid-free fantasy land that is lived under a doona, on a couch with a stash of chocolate and never-ending tea and favourite sick day films (you know we all have at least two – mine are The Lake House and The Notebook – don’t judge me, they work! )… is totally legit. When winter ticks around, the amount of daylight reduces. This is the same cue that triggers birds to migrate to sunnier climes (how awesome is nature at showing us the way?!) and can trigger changes in our moods, energy levels, appetite and need to sleep. For some people, it can develop into serious depression that lasts until spring, when the days lengthen and warm up again. 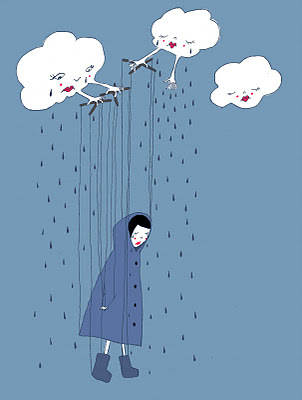 This winter depression is termed Seasonal Affective Disorder (SAD) by psychologists. SAD is more common in women and more commonly found the further you live away from the equator (everyone’s smiling in Honolulu, I’m sure of it!). Research suggests that SAD is linked to melatonin hormone levels, which in turn are moderated by our exposure to sunshine and bright light. If you ever watched the glorious TV series set in Alaska Northern Exposure back in the early 1990s, you might remember Holling’s two-week sleep hibernation and the famous hat with lights (don’t laugh, Sweden recently installed bus shelters with phototherapy lights to help when they’re in complete darkness – as in weeks when it never gets light – in Winter). So what to do? Spending time outside – even if there’s no direct sunshine – is a natural form of treatment. It’s no wonder Champagne Sarah cited sunshine as one of her favourite things. A brisk morning walk is recommended, but if you still feel you’re struggling, don’t be a hero, ask your GP for support. Me? Well, two days after my Facebook feed turned golden and sparkly I headed to sunny Queensland for a blissful 10 days of work and holiday. Sheer bliss! I’ve been fortunate enough to live in some pretty amazing places – including Hawaii and London. Let me tell you, I was much happier in Hawaii! Winter in London was miserable – I worked in a basement office and didn’t see the sun from Monday to Friday for months. That does bad stuff to your brain. Now I live in Brisbane, which is currently convinced it is November rather than August so we have more sunshine than we know what to do with. are you flirting or flaunting? When I first arrived in London, I found the way my fellow office workers would peel their clothes off at lunchtime and sun themselves like lizards on anything vaguely resembling grass/earth, rather vexing. As a born and bred Queenslander, I found the idea of subjecting oneself to the sun GASP “without sunscreen” a little horrifying and very dangerous (although I was quite happy to jump in unidentified mini-cabs after numerous nights on the turps – a small helping of murder for dessert anyone?). Then after dark grey winters without any sun for months upon months upon months…. upon months, I totally understood this springtime habit. When unable to get away to sunnier shores, I resorted to – shame upon shame – going to the local solarium every month or so for a quick blast in the sunbed. I’ve probably permanently rooted my skin but I did manage to fend off the SADs to which a number of my fellow Aussies succumbed! Ha ha, oh, I remember all the white bodies lying in Hyde Park in their granny knickers and serious underwire cross-your-heart bras at lunchtime! Gawd, that was very vexing indeed!